T R I P L E your BTC!! 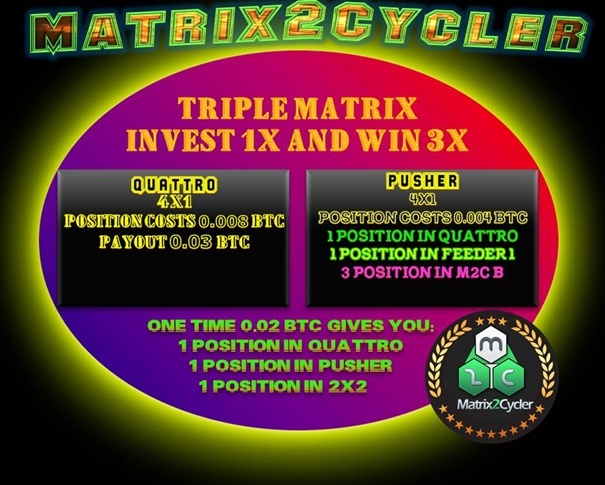 Quattro One time payment 0.00085 BTC Payout 0.03 BTC? Amazing program,excellent system where everybody earns!!! Tired of working for someone else? Earn extra money to help with those bills!